Do you love wearing skirts but aren’t exactly sure what tops to pair them with? 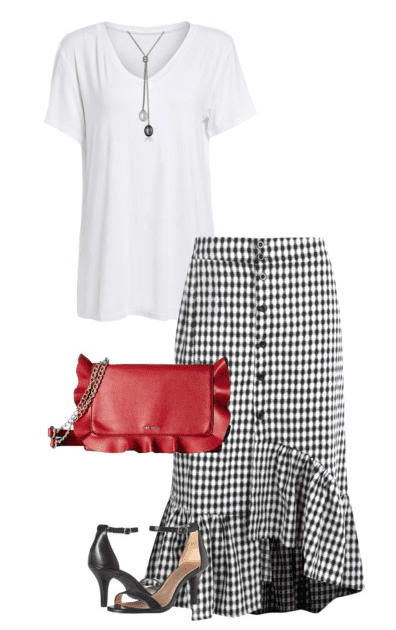 Check out these five spring skirt outfit ideas for some spring fashion inspiration. 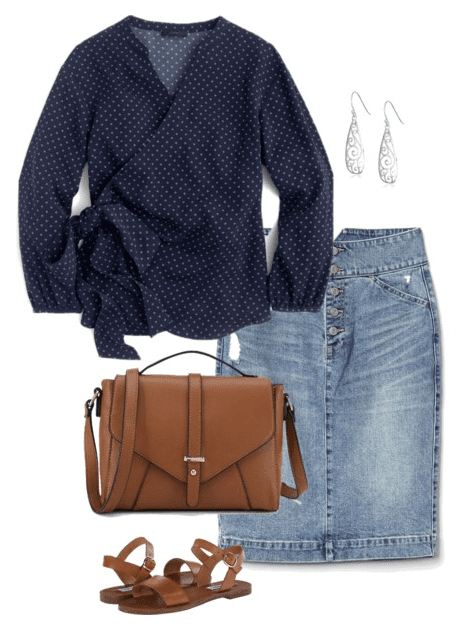 So far this March when it comes to fashion and outfit ideas, I’ve featured 15 March Outfits for the What to Wear This Month series, easy ways to wear polka dots and not look silly and how to pack light while still having enough pieces for thirteen different vacation outfits. 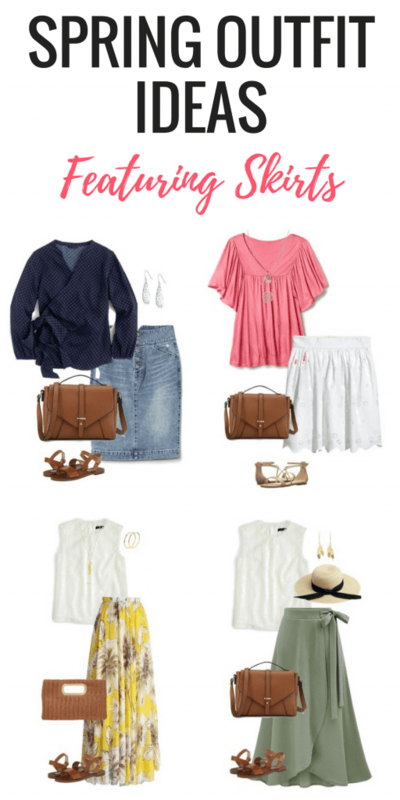 Since I know some of you really enjoy wearing skirts, I wanted to make sure I featured spring skirt outfits. I personally tend to gravitate toward white denim and dresses in the warmer months. I actually don’t have that many skirts, but after creating these outfits, I just might have to change that. 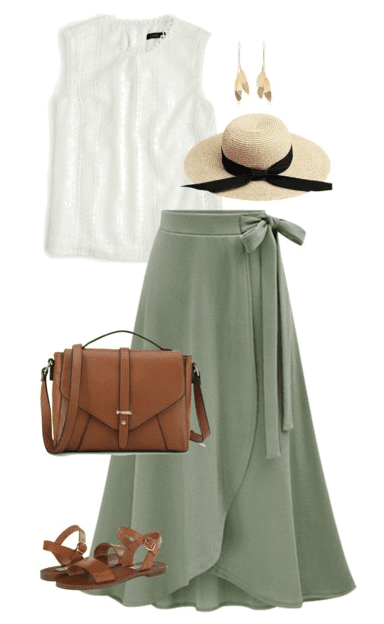 Enjoy some spring fashion inspiration with these five spring skirt outfit ideas. I just love that olive maxi. So cute! 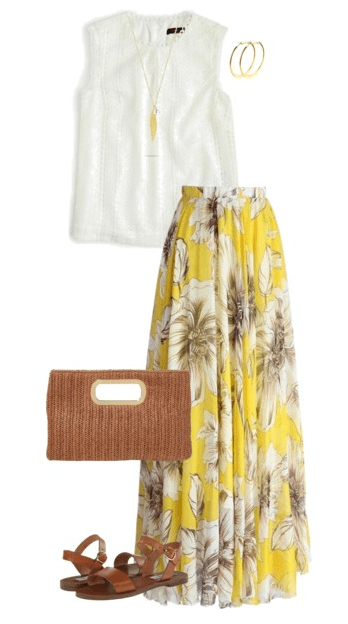 I am obsessed with any and all maxi skirts – especially that olive one! SO cute! The second to last outfit is my favorite! It would be perfect for the beach!